Matchbox Twenty and SwivelVR have teamed up to give you a concert experience like you've never seen before. 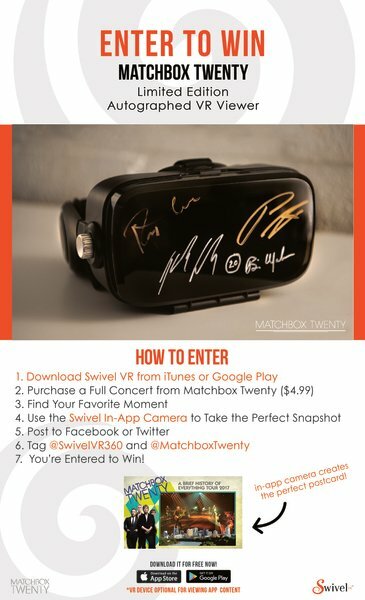 Now they are giving you a chance to win a Limited Edition Matchbox Twenty VR Viewer! Contest begins tomorrow, July 12. 7. You're entered to win!